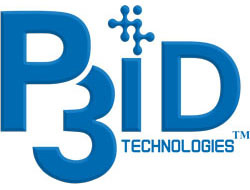 P3iD Technologies Incorporates - P3iD Technologies, Inc.
SILICON VALLEY, CA (August 17, 2018) – P3iD Technologies, Inc., has completed its filing and establishment as a private, closely held corporation duly formed under the laws of the State of California. Formerly known as P3iD Cloud, this is the next step in the evolution of the company as a platform developer for capture, extraction, and storage of highly secure documents and data. “We believe that the most efficient and expeditious way for enterprises and OEMs to offer an extensible and modular capture solution is to utilize our exceptional People, Processes, and Partners (P3),” said Kevin Neal, CEO & founder of P3iD. “By working with the most innovative technology vendors, we integrate these components into a workflow that is superbly architected to provide impenetrable identity security, image manipulation, data capture and storage to restricted or private clouds. P3iD Technologies develops and integrates an extensible and modular platform for capture, extraction, and storage of documents and data based on modern client-, mobile- and cloud-based business process enhancement solutions, augmented by impenetrable ID verification security, blockchain technology and natural speech understanding to serve enterprises with 50-50,000 users. Our technologies, methodologies, and flexibility allow organizations to realize a true return on investment quicker. Your organization’s success is our success. For more information, go to www.P3iDtech.com, call us at 408-785-2005, or email media@p3idtech.com.